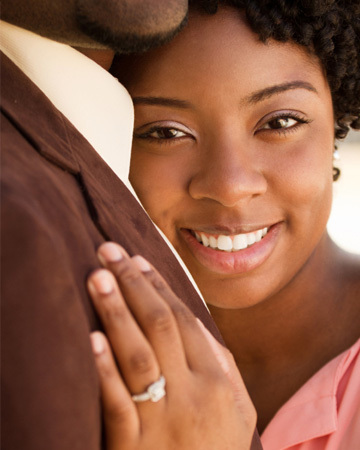 Just like your wedding, we believe your engagement ring should be a true reflection of you. That’s why we called in six seriously qualified experts to make sure you meet your perfect match. 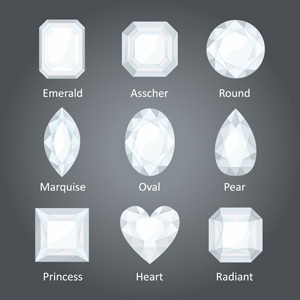 Your personality: According to Margaret Ann Lembo, author of The Essential Guide to Crystals, Minerals and Stones, the color of a bride’s engagement ring can say a lot about her personality. Here, she breaks it down for you. Red stones: You’re vibrant and active. Green stones: You’re earthy and abundant. 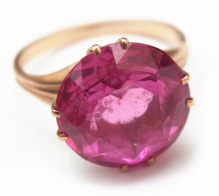 Pink stones: You’re romantic and nurturing. Turquoise stones: You’re talkative and creative. Pastel blue stones: You’re a communicator. Dark blue stones: You’re wise, intelligent and intuitive. Purple stones: You’re mystical and intuitive. Your bridal style: Emmy Award-winning stylist and author of Color Your Style David Zyla, predicts that your wedding will most likely be theatrical and well organized, almost like a performance. Your romance style: “This girl is artistic and unconventional and definitely wants her man to be too,” says Yosi Elison, CEO of McQueenJewelry.com. Your bridal style: Engagement ring designer Stacy Nolan of Nolan Jewelry says the one word to describe this bride’s style is glamorous. Your romance style: “Prince Charming and Cinderella are her dream couple, enough said,” states Yosi. Your personality: Direct and honest are the best words to describe this woman. “She’s strong, easily mastering any problems thrown in her path,” details David. Your bridal style: “Her gown, location and flowers will be simple but stunning. And, of course, she’ll insist on extraordinary quality,” he adds. Your personality: “You really are as sweet as everyone else thinks you are,” according to David. Your bridal style: Romantic, duh! As for your dress, probably something simple and lacy with white all over, predict the experts at James Allen. Your bridal style: “This bride-to-be is elegant and fun, but also a perfectionist down to the last detail, particularly when it comes to planning,” reveals Stacy. Your romance style: “This girl’s not afraid to wear the pants in the relationship from time to time. That’s why we usually get a call from her directly inquiring about cut, clarity and color,” divulges Yosi. Your bridal style: This bride is old fashioned, choosing to wear her mother’s wedding gown (or an updated version of it) and grandma’s veil, say the experts at James Allen. David adds that her wedding is likely a seamless blend of old and new, both honoring the past and embracing the future. Your romance style: A hopeless romantic to the core. “She definitely believes in true love and soul mates,” describes David. Your personality: “A solitaire ring will never go out of style, so the girl who wears one isn’t concerned with keeping up with trends or trying to impress; she has nothing to prove,” explains Yosi. Your bridal style: “This woman’s wedding is exactly what you would expect a wedding to be: a stunning event beautifully executed in its simplicity,” informs David. Classic all the way. Your romance style: Totally traditional. Your personality: According to the experts over at James Allen, this girl’s personality is big and bold. She’s outgoing and isn’t afraid to speak her mind. Your bridal style: “Extravagance is clearly her thing,” they add. When it comes to her wedding (and the dress), no expense will be spared! Your romance style: Flirty! This bride-to-be and her future hubby literally can’t keep their hands off each other. Real women dish on their biggest wedding planning oops!